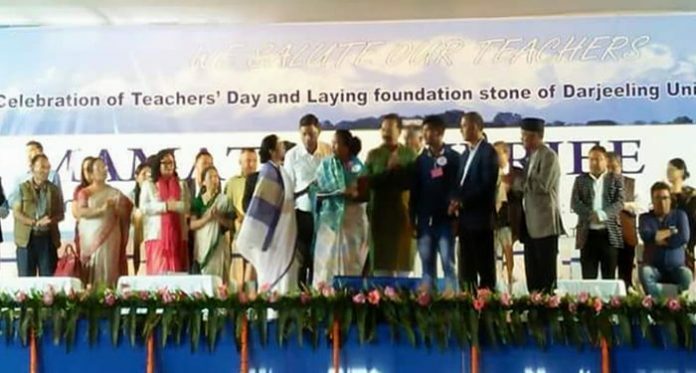 Mamata Banerjee at the Teacher's Day event at Darjeeling Chowrasta. 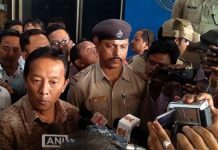 Siliguri: West Bengal government has decided to organise an Asian Cultural Festival in Darjeeling involving the south Asian countries, including Pakistan. Chief Minister Mamata Banerjee announced this in Darjeeling this morning while addressing a Teacher’s Day celebration. On the occasion, she laid the foundation stone for the proposed state university that is to cope up at Mongpoo in Darjeeling. “Artists from Thailand, Malaysia, Singapore, Bangladesh, Nepal, Bhutan, Pakistan, etc. will be invited to the grand event. But I want Darjeeling artists to win in the competition, Banerjee said. 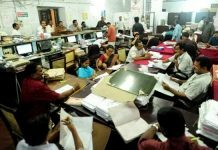 The Chief Minister didn’t specify as to when the festival will be organised next year but sources in the administration said that it will be in the winter. “The Gorkhaland Territorial Administration holds the Darjeeling Carnival usually in January. Next year, the Carnival is likely to be upgraded into the proposed Asian Cultural Festival,” said an official. The move to organise the festival is an effort to revitalise tourism in Darjeeling and reinstate it as the leisure tourism hub in eastern India. This is because the unrest, bloodshed, and near 4-month shutdown in the Hills last year demanding a separate state has made the tourists turn their back on Darjeeling. The Chief Minister today also announced that since bicycles that the state government gives to students of classes VIII-XII is of no use in the Hills, the government has decided on an alternative. “We will provide a school bag and a raincoat to each of the 28,000 students of government-aided schools in Darjeeling Hills. We will do it very soon,” she said.